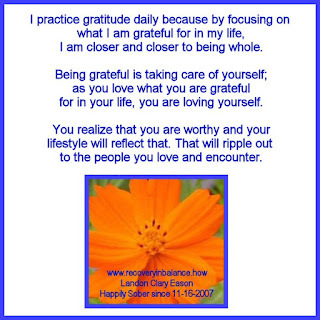 fifth year anniversary sharing what I am grateful for every day. falls into place as I do everything I can to grow. Now, that does not mean I ignore problems and distressing situations. them as part of my reality. Then, the most astonishing thing happens! no longer hurts me, makes me cry, or blocks my way. what to do to bring me back in balance. There is no drug or alcoholic beverage on Earth that can give us the same result. We have inside of us what we need to be successful. We need to learn how to activate it. But, blocked emotions and problems obstruct direct route to our souls. When we accept what is bothering us, we heal. we can share with others. New productive habits give us the privilege to help others get better. authentic human beings is an honor. 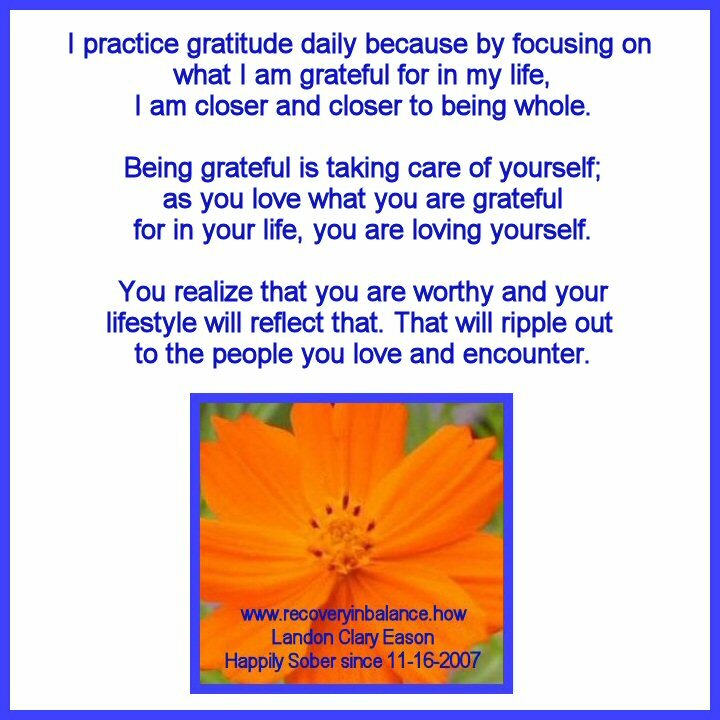 Labels: 365 Days of Gratitude, grateful for today being my fifth year anniversary posting what I am grateful for every day.